Prospect is about a father and daughter who journey together into the unknown to unearth a coveted treasure. Damon (Jay Duplass) and his daughter Cee (Sophie Thatcher) have scraped by, scavenging for riches in the wild, hoping for a payday that will permanently fix their situation. Of course, when prospecting for a valuable natural resource, there are always a familiar set of dangers: bandits coming along to rob your hard-earned booty; natives who barter, sometimes in human flesh; and greed getting the best of your partners, reducing them to their worst selves, even transforming them into killers. These are lessons taught by John Huston in The Treasure of the Sierra Madre (1948), or more recently, There Will Be Blood (2007). And to be sure, as Damon and Cee scout the frontier for their livelihood, they experience similar peril. If this setup sounds like the makings of a superb Western, you would be right. 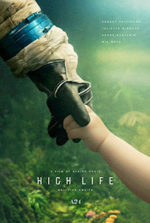 Except, the writer-director team of Zeek Earl and Christopher Caldwell set their low-fi debut film on a lush, green, life-inhabiting moon, transitioning these Western tropes into a modest if compellingly realized science-fictioner. Westerns have inspired countless science-fiction tales, from the wagon-training adventures of Star Trek to the space cowboy antics of Firefly to the exploration of robots and artificial intelligence in Westworld, both the 1973 film and its superior HBO iteration. Earl and Caldwell draw from that tradition in Prospect, while creating a fascinatingly detailed world analogous to the American gold rush. Their considerable world-building, while rooted in Western archetypes, also has much in common with the gritty sci-fi visions of the 1960s and 1970s. Everything has a lived-in quality, in the same way that 2001: A Space Odyssey explores the practicality of technologies, Silent Running turns space life into a banal existence, and Star Wars looks like a post-utopian shithole. Things break down and go wrong in Prospect, which opens with the bad landing of Damon and Cee’s space pod on an exotic forest moon, the home of Aurelacs—fleshy underground root systems that, if cultivated correctly, supply pearl-like centers worth thousands each. Gold ore be damned. Damon and Cee’s ambition to find a “Queen’s Lair” of Aurelac roots on the moon, and then live the good life, quickly devolves into an episodic adventure of greed and survival. The trouble starts when they encounter two desperate bandits who want what they’re after. As their situation grows increasingly dire, Cee has no choice but to rely on Ezra (Pedro Pascal), a charming and duplicitous survivor for whom her trust does not come easy. Their friendship grows naturally and out of necessity, and the script avoids turning them into clichés. Cee becomes a whole, complex character in small but personal moments such as her exploration of Damon’s adult substances or her startling confession as to why she’s so calm cutting human flesh. Thatcher has the quality of Elle Fanning, in that there’s always something going on behind her eyes. Meanwhile, Pascal is excellent as a scallywag who’s a better person than he’s willing to admit. The actor’s facial expressions, particularly during a painful amputation scene, range from tragic to strangely humorous. Watching Prospect, one has an immediate sense of a tangible world. 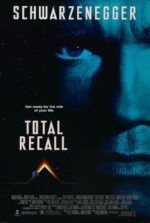 The few brief scenes on the space pod orbiting the moon recall the tactility of Alien (1979), in which blue-collar workers operate high-tech machinery that can break down and go haywire. Later, on the surface, the more recent Alien: Covenant (2017) came to mind—it earned some deserved criticism when its crew of terraformers lands on a distant planet and explores the area without the safety of space helmets, therein exposing themselves to the dangers of foreign pathogens. They ultimately fall prey to the threat, but it was a ridiculously stupid conceit. Earl and Caldwell have thought of that and rooted the concept into the fabric of their film. From the instant Damon and Cee set down on the moon, they worry over air conditions, breathing filters, air tubes, and the omnipresent spores glimmering purple in the atmosphere. It’s a beautiful and convincing effect that reminds us always of the pervasive danger just beyond the enclosed space suit. And it’s something the writer-directors mine for all its worth. The small details throughout Prospect, which have obviously been thought through and labored over, do much to immerse the viewer in the intense situations. When someone’s suit is penetrated, the resultant wound may fester from infection if not treated, and the series of medical gizmos used to seal the opening have a fascinating procedural quality. The same can be said of the prospecting of Aurelacs, complete with digging, membrane removal, chemical applications, and a touch of surgery. We come to know the process well and watch it intently. Similarly, there’s much to savor in the action, which occurs not with futuristic lasers or blasters, but railguns that emit a deadly projectile with a flat click that makes for an oddly poignant shootout. Through all of this detail, the filmmakers realize the special FX with subtle and unobtrusive CGI, but more so with an analog approach to the costumes, machines, and elaborate forest setting, filmed on location in Washington state. 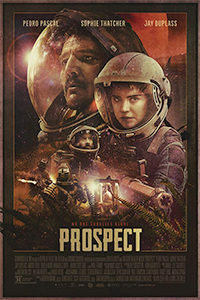 Shot on a shoestring budget of under $4 million, Prospect was based on the directing team’s 2014 short of the same name. 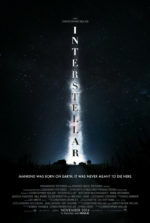 The feature-length version looks better and more convincing than most science-fiction epics and spectacles earning hundreds of millions at the box-office. The characters may not have grand emotional situations to explore, but the severe encounters throughout allow the unassuming characterizations to flourish, creating bonds that last and feel deep. Moreover, young viewers looking for a strong female lead need not resort to the big-budget example of Captain Marvel; Cee has more dimension and experiences, and a more compelling growth arc, than any superhero. By the end, Prospect earns a place next to comparably small, cerebral entries in the genre such as David Cronenberg’s eXistenZ (1999) and Duncan Jones’ Moon (2009), in that its intimacy has a way of getting under the viewer’s skin. If Earl and Caldwell continue to work in this realm of genre pastiche, and let’s hope they do, their next effort can’t come soon enough.